Innovative Building Solutions provides thorough analysis of any system recommendation or can work with your existing specifications. The most important solution is finding the system and software that will meet your needs for the long term. The leading provider of facility management systems and services for supermarket, convenience store, box retail, and restaurant operators. 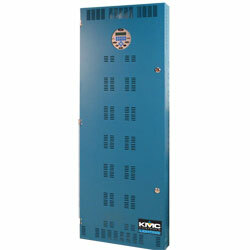 Since 1969 KMC Controls has been innovating. We innovate pneumatic control devices for heating, ventilation, and air conditioning (HVAC) applications. We innovate analog electronic controls for similar purposes. And we create innovative approaches to building automation and energy management concerns through a complete line of fully programmable, digital hardware and intuitive software. We deliver solutions by creating comfortable, safe, and efficient environments for building occupants. We make products that are easy to buy, easy to install, and easy to use. We offer end users unprecedented control with intuitive software and reliable hardware. VUANCE, Ltd. recognizes the growing demands for improved security in today's world. From routine operations to critical situation management, the original security solutions from VUANCE improve credentialing, verifying, tracking, locating, and managing personnel and assets. In fact, its very name, view + nuance, reflects the VUANCE approach to security. Using a common building block approach, the company's comprehensive product offering enables end-to-end solutions that can be employed to successfully overcome the most difficult security challenges.